Find out about all the benefits of membership here. BSBI has almost 3,000 members from Britain, Ireland and beyond. 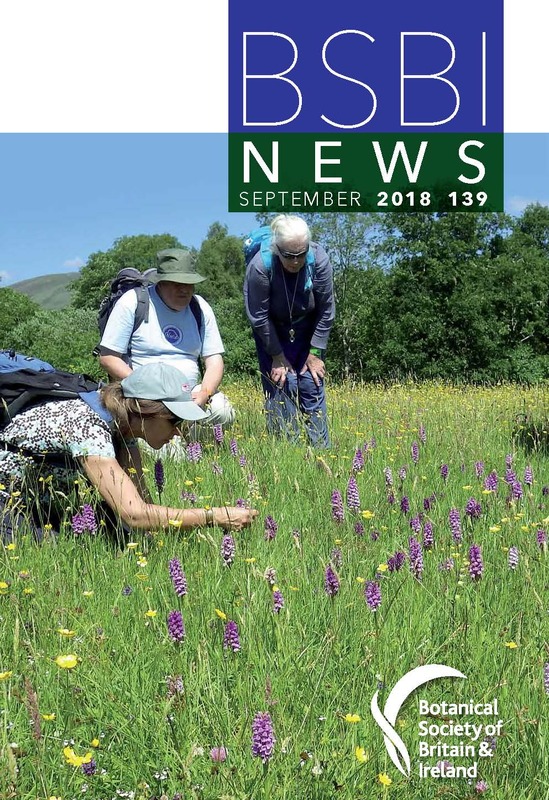 Three issues per year of BSBI News, our members' newsletters. Online access to all papers published in New Journal of Botany, our scientific journal which ran from 2011-2017. Access to our network of 100+ expert plant referees: they are on hand to assist you in identification of difficult groups. Access to the host of field meetings, conferences and other events run throughout the year. The BSBI Yearbook which includes full contact details for botanists and local groups in your area. Discounts on BSBI publications from Summerfield Books such as The Discovery of the Native Flora of Britain and Ireland. Special offers on publications and events. 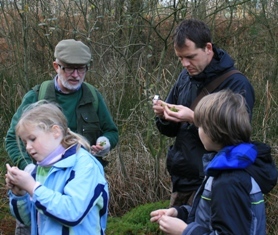 There are some great volunteering opportunities with BSBI, most of which are exclusive to BSBI members. You will receive your membership welcome pack within days of sending us your completed membership form and will then have immediate access to all these benefits and services. To join BSBI please fill in a membership form (available in PDF or Word format). Email the completed form as an attachment to the membership secretary, or post it to him at 41 Marlborough Road, Roath, Cardiff, CF23 5BU. For UK residents paying in pounds sterling please fill in a Direct Debit form and return it to us by post or scan it and send it by email. For EU residents paying in Euros please fill in a SEPA direct debit form online. Please use the PayPal payment buttons on the right. Cheque or postal orders payable to BSBI and posted to Membership Secretary, 41 Marlborough Road, Roath, Cardiff, CF23 5BU. We regret that we can no longer accept Euro currency cheques because the clearing service previously offered by our bank has been withdrawn. If you are a UK tax-payer, you can make your money go further. Please complete a GiftAid form (pdf | Word .doc) - so BSBI can reclaim tax from your payment. Ordinary (UK & Ireland): £30 (€38) per year. Family: £4 (€5) for each additional member (but no separate mailings). Student: £12 (€15) (up to the age of 21 or up to 25 if in full-time education). Senior (for longstanding members, see below): £22 (€28). Subscriptions are due on the 1st of January each year but if you join after 1st October the subscription lasts to 31st December of the following year. 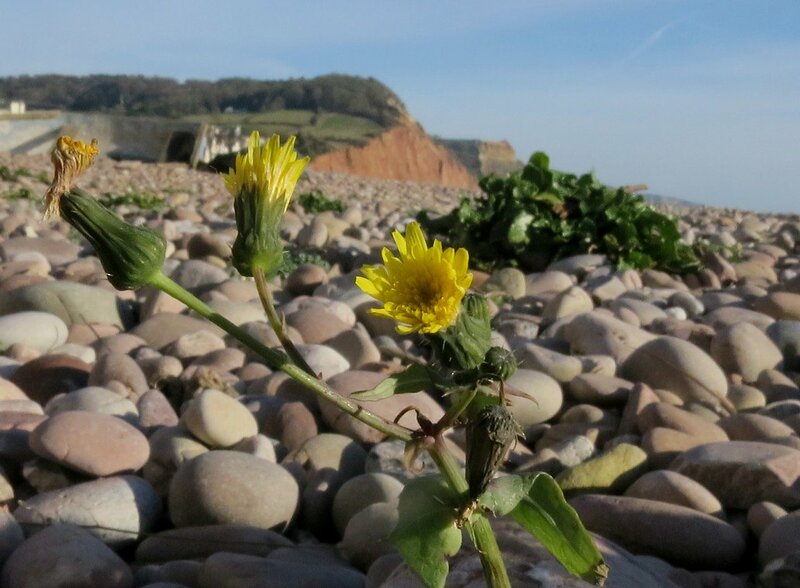 By joining BSBI you will also become a company member supporting and agreeing to the BSBI’s objectives and ways of operating set out in our Articles of Association. Three most recent issues of BSBI News complete with all inserts, such as Summerfield Books' latest catalogue. The 2019 BSBI Yearbook (100+ pages) with full contact details for 112 expert plant referees, 186 County Recorders and all BSBI staff and officers. A copy of So You Want to Know Your Plants. A welcome letter with lots more useful info, including the password for the members-only area on this website, so you can access New Journal of Botany, order BSBI titles at pre-publication/ members-only prices, and much more; and the password for Summerfield Books' BSBI members-only area so you can save money on further BSBI publications. Essential BSBI paperwork: our Articles of Association, Annual Review, subscription info, Direct Debit and GiftAid forms. Want to take out a subscription for a friend or relative? It's easy! Just use the PayPal facility to pay their sub and email Gwynn Ellis with your friend's details. He'll send them a membership form to fill in and as soon as he's received the completed form, he'll post them our bumper membership welcome pack! There is a password protected members’ area on this web site which allows on-line access to all recent issues of BSBI News, the latest BSBI Yearbook, all back issues of New Journal of Botany and many other resources exclusive to members. If you are a member, contact us for the password. Our Membership Secretary is Gwynn Ellis. You can contact him on membership matters, including change of addresses, at 41 Marlborough Road, Roath, Cardiff, CF23 5BU. Membership Secretary Gwynn Ellis says: "Don't forget, I can't post your membership welcome pack to you until I receive your completed membership form!" You can pay your subscription online using the secure Paypal system (if you don’t have a Paypal account you can still pay online using a debit card). There are two Pay Now buttons below for standard membership categories, so you can pay in either sterling or euros. Please use the 'Instructions' field below to add your membership number (if you are renewing your subscription) or to tell us that you are a new member. The Pay Now/ Donate button below allows you to put in the sum that applies to you and set your own payment for other membership categories, subscriptions to BSBI News, etc. Please use this button to pay any non-standard amount. Members who have been with the Society for at least 10 years, are over 65 and not in full time employment, may apply to the Membership Secretary (Gwynn Ellis) to have their subscriptions reduced to a 'Senior' rate. We only hold the information requested in order to manage your membership subscription. We will treat your information as confidential, hold it securely and will never pass it on to third parties. The exception is our Subscriber database which BSBI has checked for full compliance with data protection regulations. The lawful basis for processing these data is defined under GDPR regulations as contractual. You can request to see the data we hold on you at any time and we will remove you from our systems and discontinue contact at your request: just email enquiries@bsbi.org and mark your email 'Unsubscribe'.